While cleanup and restoration continues on St. Maarten following the recent, destructive hurricanes, Divi Resorts is dedicated to assisting displaced staff members and relief workers. Divi Resorts President & COO, Marco Galaverna and a group of key staff visit St. Maarten to assess the damage and thank local employees. Since Hurricane Irma struck, Little Bay has been providing shelter for many staff members and their families while they begin to fix their homes or find new housing solutions. 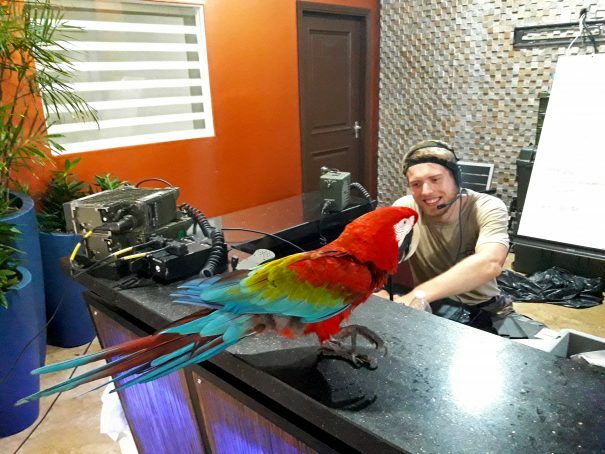 In response to frequent guest and owner outreach regarding how to help, Divi Resorts created a GoFundMe campaign with the goal of raising funds for staff’s personal needs and recovery efforts. Divi Resorts’ GoFundMe campaign continues to accept donations at: gofundme.com/send-love-to-divi-little-bay-staff. All money raised will go directly to employees, as determined by management at the Resort in consultation with staff and their labor union. 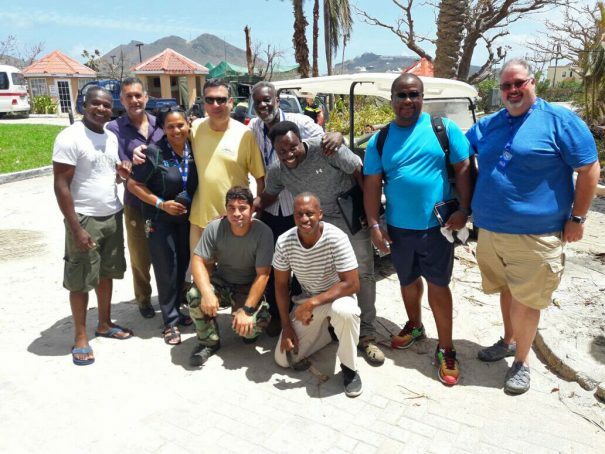 The Resort has also been accommodating a troop of Dutch Marines, on the island to assist citizens of St. Maarten, since the end of Hurricane Irma. Divi’s diva, Gizmo spends quality time with her new friend, a Dutch Marine on site to assist St. Maarten citizens. While cleanup continues on several Caribbean islands affected by Hurricane Irma, including St. Maarten, hotels in Aruba are banding together to raise money to assist the Red Cross Aruba in their efforts to help victims of the storm. 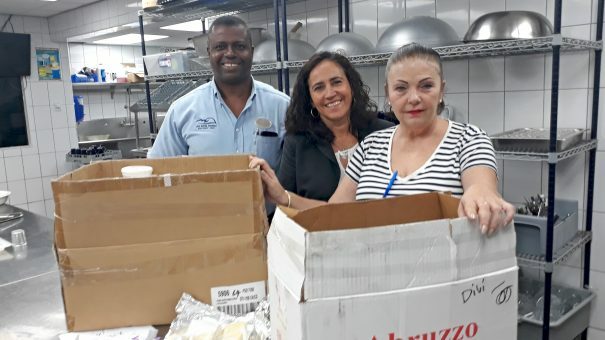 Divi Resorts purchased 100 soups for employees as part of Holiday Inn Resort Aruba’s Soup Drive, which took place Friday, September 15. All proceeds from the drive go directly to the Red Cross Aruba. As the Hurricane Irma clean up process begins in The US Virgin Islands, representatives at Divi Carina Bay All-Inclusive Beach Resort & Casino in St. Croix are lending a helping hand by providing housing and meals to relief workers. Divi Carina Bay and the island of St. Croix escaped Hurricane Irma’s damage mostly unscathed, allowing the resort to reopen for business mere days after the storm. Due to its close proximity to St. Thomas and St. John, St. Croix has quickly become the command center for the recovery process on those islands. Lieutenant Colonel Matt Bartlett, mission commander of the 27th Special Operations Wing force from Cannon Air Force Base in New Mexico, says the outstanding support he’s received from the Resort has been invaluable to his team and their recovery efforts. “Divi’s help has ensured that our force has adequate rest and nourishment as we aggressively work to help our fellow Americans and neighbors impacted by Irma’s devastation,” said Bartlett. The 72 Airmen on site are assisting those in need by providing capabilities such as search and rescue and personnel recovery, airlift of humanitarian supplies, medical care and aeromedical evacuation – capabilities Bartlett says wouldn’t be possible without Divi’s help and hospitality. 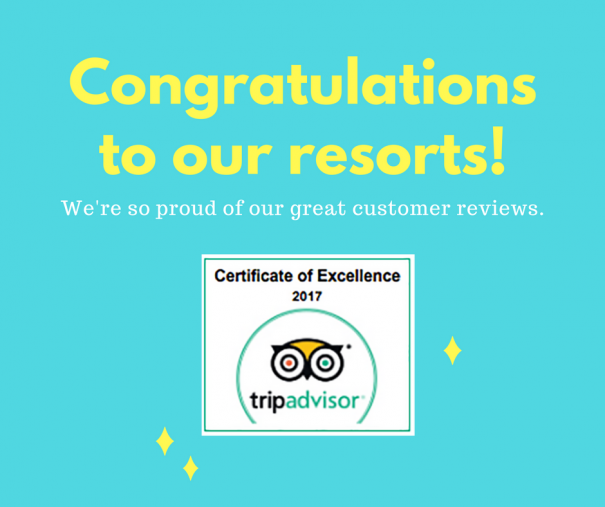 “We would be unable to provide this support if it was not for Divi Resorts and its staff allowing us to get the rest we need to continue to do this work every day that we are here in St. Croix,” Bartlett explained. Galaverna added that Divi Resorts provides a 20% military discount to all members of the military throughout the year. Divi Carina Bay Resort remains open for business to guests and will be on hand to help as needed while cleanup continues on St. Croix’s sister islands. Honeymoons aren’t just for two anymore. After spending months planning your special day, why not make it last by inviting your closest friends on your honeymoon? “Buddymoons,” as the phenomenon is playfully named, are growing more popular. According to an article in Conde Nast Traveler, a recent survey on wedding travel found that 12 percent of Americans have attended a group honeymoon or buddymoon in the last five years. As Conde Nast Traveler recommends, it’s best to pick a longer trip for your buddymoon, with a range of potential activities and sightseeing opportunities. Stick to groups of less than 10 people, mostly couples with similar outlooks and budgets. It’s always a good idea to minimize stress on your honeymoon! 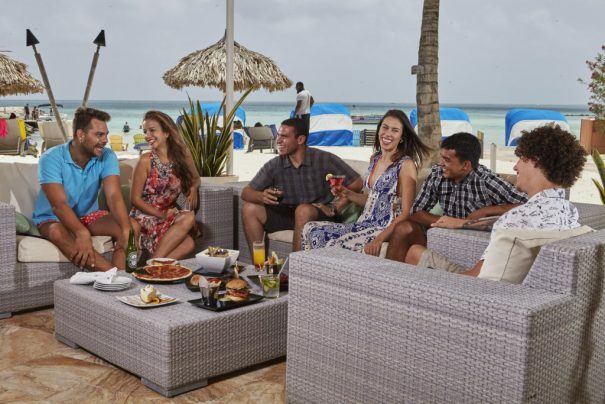 If you’re planning a buddymoon, Divi Resorts offers a range of honeymoon packages at luxe resorts on Aruba, Barbados, St. Croix and St. Maarten—most with all-inclusive options. Spend a week in paradise with your other half, and give a few other couples in your friends circle an excuse to escape too!